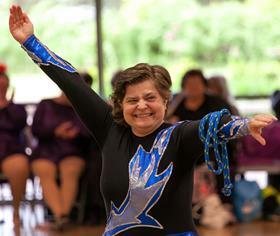 Meet SOBC – Vancouver’s Sheryl Spurr (pictured above), a hardworking athlete who says Special Olympics helps her stay healthy and make new friends. If you haven’t exercised for a long time it can be tough to get back into a routine. Even just thinking about working out can make some people stressed out. It doesn’t have to be as hard as it seems. Here are three excuses you might be giving yourself for not exercising and how you can overcome them. Please note: The SOBC Provincial Office will be closed for the holidays from December 17 to January 2, returning January 3. 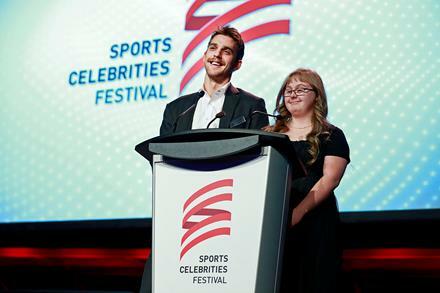 The 2016 Sports Celebrities Festival presented by Silver Wheaton turned the spotlight on the abilities of Special Olympics BC athletes and the power of sport, while raising vital funds for the Canucks for Kids Fund and SOBC. 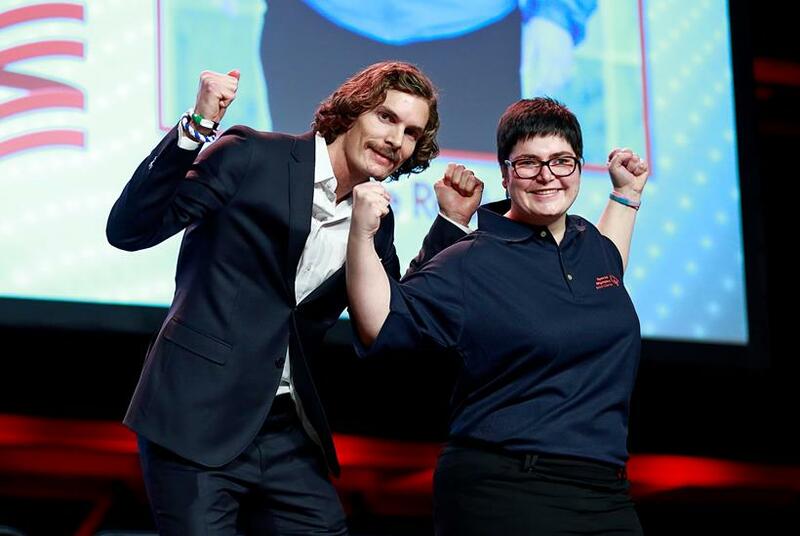 Held on November 21 at the Vancouver Convention Centre, the 18th annual gala brought together more than 650 supporters along with SOBC athletes, the entire Vancouver Canucks roster, and other top B.C. sports celebrities for a meaningful and fun evening. After the Black Friday and Cyber Monday sales, November 29 is Giving Tuesday, the movement dedicated to giving back. Donors are invited give the gift of #YesICan to Special Olympics athletes across the province with a Giving Tuesday donation to SOBC! Visit and share our site for Giving Tuesday and holiday giving to help build confidence and enrich lives through the power of sport. We are grateful to all who will consider giving the gift of #YesICan with SOBC on Giving Tuesday and in this holiday season. 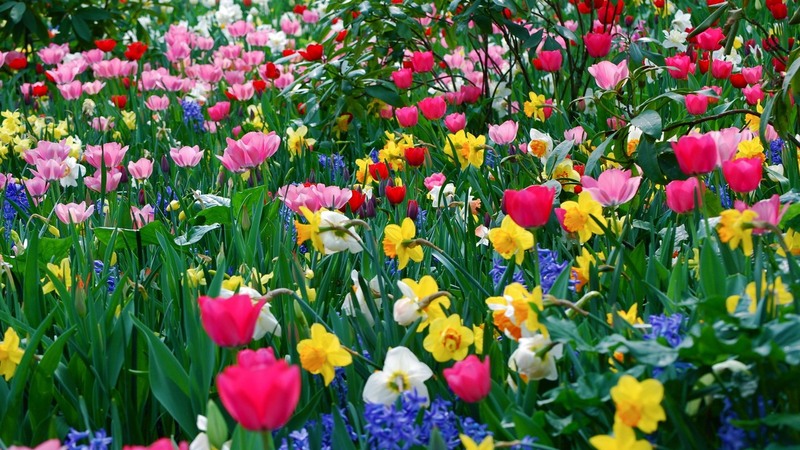 Thank you for spreading the word! Special Olympics BC is excited and grateful that Karl deBruijn, retired School District #73 Superintendent, has stepped up to serve as Chair of the 2017 Special Olympics BC Summer Games Organizing Committee. 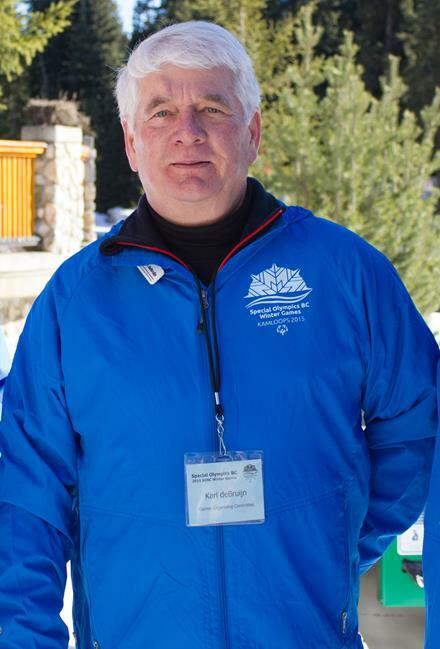 DeBruijn, who worked with the school district for 40 years, also volunteered as a member of the organizing committee for the 2015 SOBC Winter Games that were held in Kamloops and Sun Peaks. SOBC is grateful to deBruijn and all the volunteers set to give their time as members of the Games Organizing Committee. 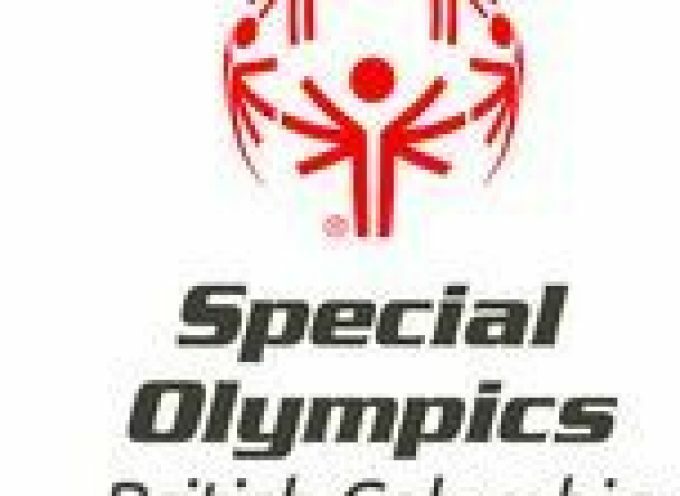 Joining deBruijn and the GOC as champions of the 2017 SOBC Summer Games are sponsors including the City of Kamloops and School District #73, who are generously returning as SOBC Games Platinum Sponsors. Fourteen Vancouver Canucks staff members gave their time to our functional testing session on November 10 as part of their 10th annual Live 2 Give event! We’re grateful to the Canucks and the enthusiastic volunteers who did a great job helping Special Olympics BC athletes elevate their performance. This fall has been full of fun with Law Enforcement Torch Run events in Cranbrook, Golden, and Prince George! Thanks to the B.C. 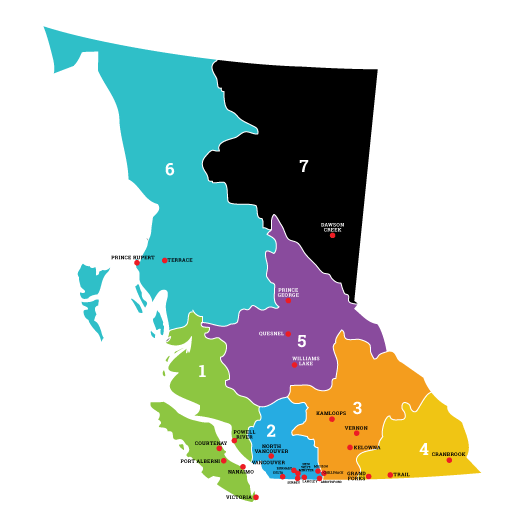 Conservation Officer Service, BC Corrections, B.C. Sheriff Services, Cranbrook RCMP, Golden RCMP, Prince George Cougars, Prince George Fire Rescue, and Prince George RCMP for their support! We’re delighted to congratulate Special Olympics BC volunteers Jeannie Cramer, Roshan Gosal, Shelagh Schmidt, and Pat Stuart, recent winners of awards to celebrate their outstanding volunteer efforts and contributions to their communities! 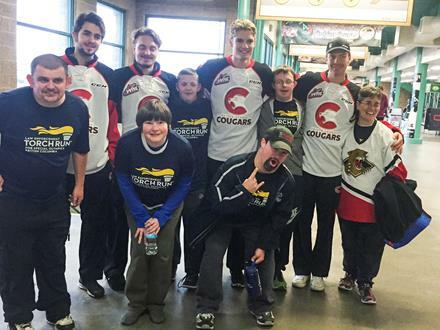 SOBC – Smithers coach Cramer, the 2015 winner of the SOBC Grassroots Coach Award, and SOBC – Creston coach and Events Coordinator Schmidt, received recognition this month as winners of the Sovereign’s Medal for Volunteers. On the Sunshine Coast, Local Coordinator Pat Stuart (pictured at right) was honoured alongside fellow outstanding local citizens at the 2016 Celebration of Excellence Gala on October 28. SOBC – Abbotsford coach and SOBC Youth Activation Council member Roshan Gosal earned a Peace Medallion in the Young Social Change Leader category at the YMCA of Greater Vancouver’s 2016 Power of Peace Awards on November 17. 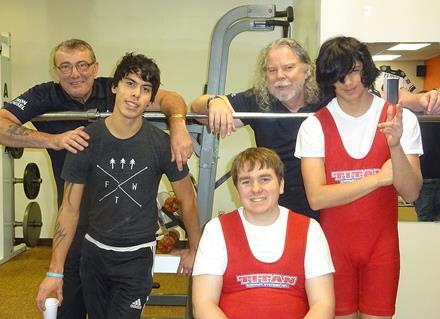 There were personal bests and pride all around as Special Olympics BC – Mount Waddington hosted their first-ever competition, a powerlifting meet on November 12 featuring local athletes and lifters from SOBC – Campbell River! 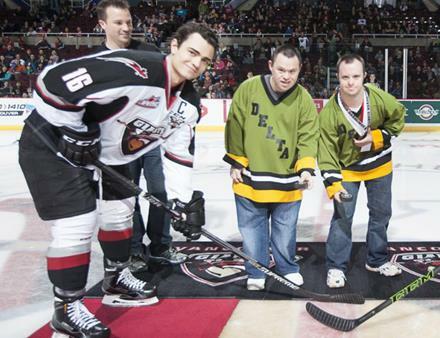 Take in a thrilling Vancouver Giants hockey game and support Special Olympics BC with the Delta Police Department! Enjoy every great goal, stellar save, and huge hit as the Giants face off against the Everett Silvertips on December 27. Tickets are $18, with $5 from every ticket sold going to support SOBC. Delta Police Department members will also be teaming up with SOBC athletes to sell 50-50 tickets at this Law Enforcement Torch Run fundraiser. Ticket proceeds can be directed to the Local program in your area. For more information, please contact Charlotte Taylor by email or by phone at 604-737-3056 / 1-888-854-2276 toll-free. Coaches, get set for the National Coaching Certification Program courses coming your way in 2017! The new year will bring new opportunities to take the NCCP Special Olympics Competition Sport Workshop in Fort St. John on February 18-19 and Campbell River May 5-6. Coaches going to the 2017 SOBC Summer Games must have completed this course. Find details on these events on the SOBC calendar, and stay tuned for more to be added. 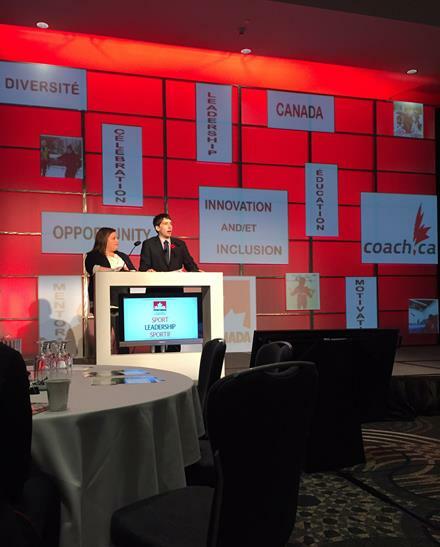 Three cheers for Special Olympics BC – Langley athlete Matthew Williams and SOBC – Vancouver coach Jessica Chapelski, who were the fabulous emcees of the Coaching Association of Canada Sport Leadership Conference held November 3 to 5 in Richmond! The SOBC members led this national conference with close to 600 delegates from across Canada. Discussion at the event included a focus on diversity and inclusion as an opportunity to create a more powerful sport system in Canada. Please click here to check out more photos by Team Canada mission staff and SOBC Region 5 Coordinator Darren Inouye. The other Team Canada members from B.C. will be in action in their own training camps coming soon, with alpine and cross country skiing being held in Vernon December 8 to 11, speed skating the same weekend in Calgary, and snowshoeing to come. Good luck to all, we are rooting for you all the way! >> Meet Team Canada members from B.C. Are you the kind of sports fan who knows when your favourite football team will force a fumble? Can you call the score of the next big soccer match? You can put your sports knowledge to the test while helping raise funds for Special Olympics BC with the new FireFan fantasy sports app. The FireFan app lets fans earn points by making real-time predictions while they watch sports. You can compete for free or join the FireFan League and move up the standings with every accurate prediction you make. The more you play, the more rewards you can earn. Help support SOBC with your fantasy play by signing up for the FireFan app using the code SOBC! 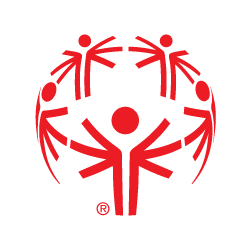 The Special Olympics International Board of Directors have awarded their flagship event and world’s largest humanitarian and sporting event of 2019, the Special Olympics World Games, to Abu Dhabi, United Arab Emirates (UAE). The Special Olympics International Board of Directors unanimously voted to award the World Games to Abu Dhabi based on a comprehensive bid proposal, a site visit by a Board Committee, and the country’s vision to create inclusion for people with intellectual disabilities throughout the UAE, their region, and the world. Special Olympics Canada parents/guardians, caregivers, and coaches are invited to participate in a study conducted by a team of researchers from Holland Bloorview Kids Rehabilitation Hospital, Bloorview Research Institute, and the University of Toronto. We are hoping to gain a greater understanding of the health and wellness successes and goals of Special Olympics Canada’s athletes, through the perspectives of parents/guardians and coaches. 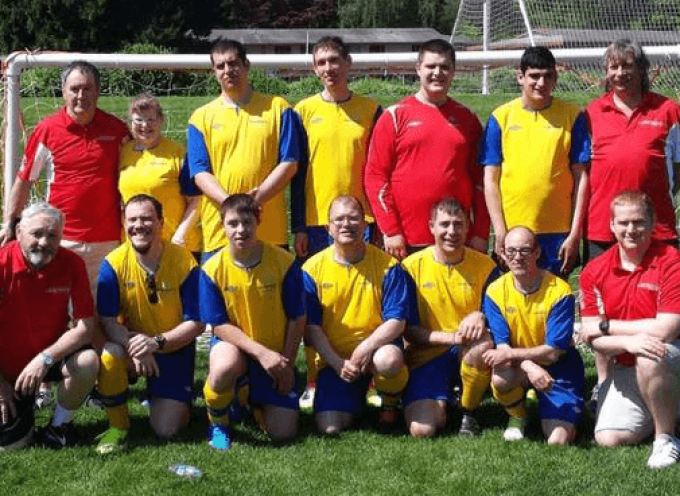 The findings of this research project may be used to help improve the quality of tools and services being provided to athletes involved in Special Olympics Canada. The anonymous survey should take between 10 and 15 minutes to complete. If you would like to participate in the survey, or learn more about this survey and what will be asked of you, please click here. Interested participants are asked to complete the survey by December 5. Special Olympics BC is excited that Lori Cruddas will be joining our team as the Manager, Community Development for Regions 7 and 8, starting on January 3, 2017. Lori comes to SOBC with more than 15 years of experience in developing and growing programs for social service and health organizations throughout the north. She worked as an Area Manager, Northern BC & Yukon Region, for the Heart & Stroke Foundation, where she helped develop, implement, and monitor the effectiveness of all foundation programs, projects, practices, and strategic priorities in the region. 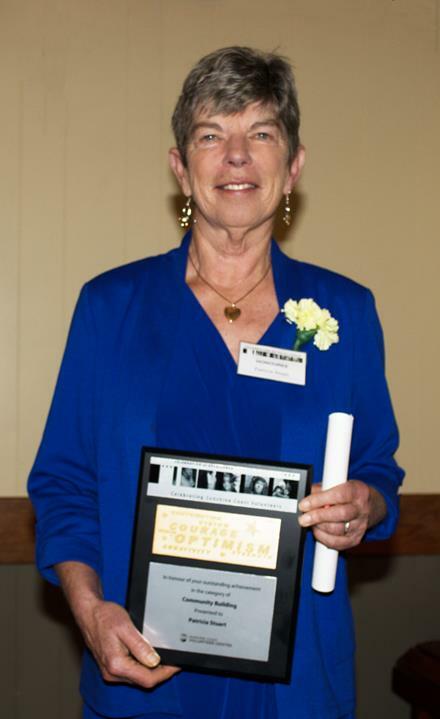 Prior to that she was the Community Programs and Services Coordinator for the United Way of Northern British Columbia, where she developed partnerships within the communities in the north, worked on numerous strategies, and assisted with fundraising and marketing. We look forward to welcoming Lori in the new year!